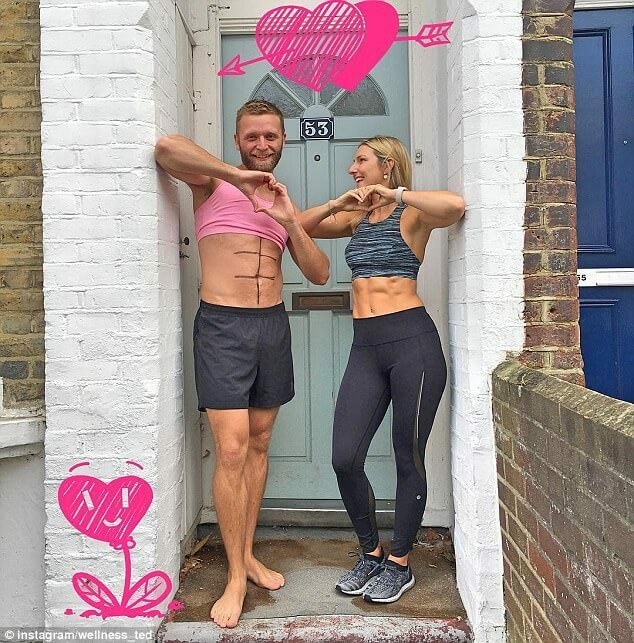 His incredible girlfriend is Women’s Health digital editor Amy Hopkins. 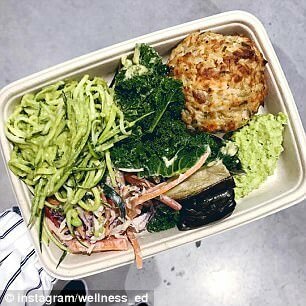 She has an incredibly good looking abdomen and always documenting on Instagram about her lifestyle, extremely healthy breakfasts and her to-die-for-body. 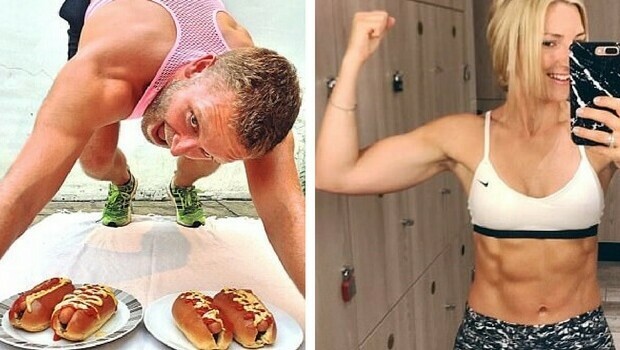 Now, we began this article with “his incredible wife”, meaning the real star of the show is the boyfriend who is hilariously and affectionately mocking his girl’s posts on Instagram by drawing abs on his little fatty belly or doing “hot dog yoga”. 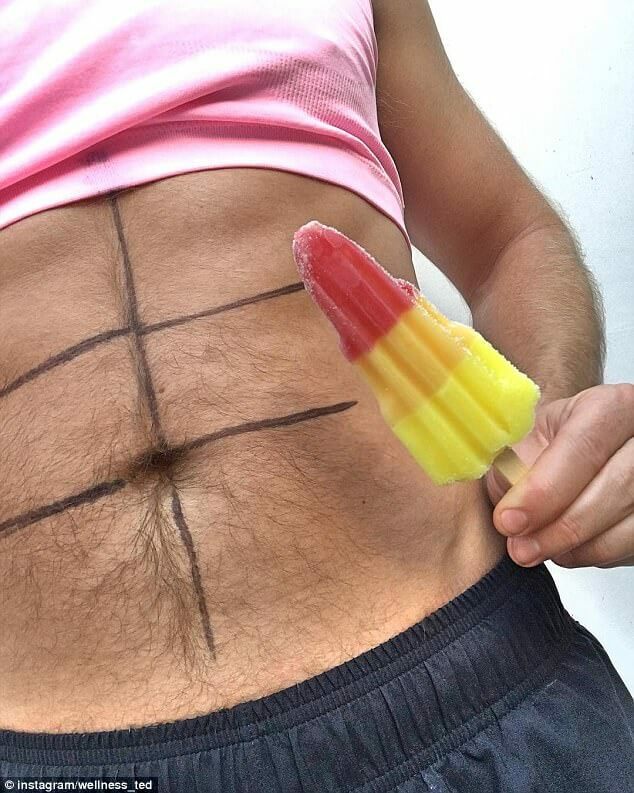 When she’ll post a picture of her very toned abdomen, he will also post a picture of his drawn abs. 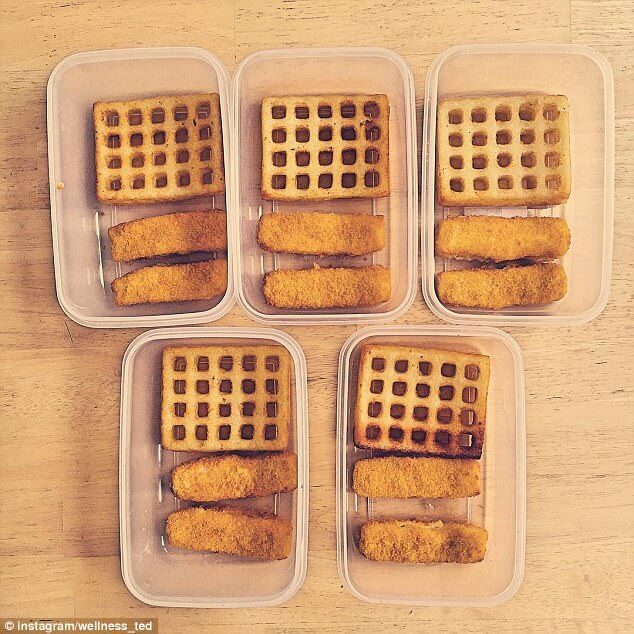 When she shows followers her balanced and healthy meals, he will upload some sausages, some chicken nuggets, bacon and who knows what. His captions are really funny and you can’t help loving him if you were his girlfriend. Or could you? 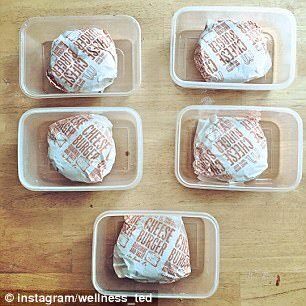 Ted Lane, 27, is also a very smart and funny guy. 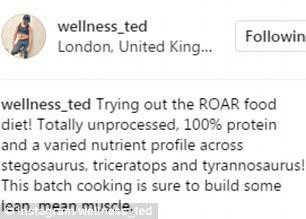 You can find him as wellness_ted on Instagram and he’s not only mocking his girl, he’s making fun of fitness-kind-of-posts in general. And his humour is solid. 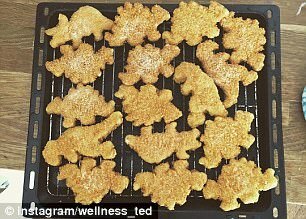 For example, on a picture of a tray of turkey dinosaurs he writes: “Trying out the ROAR food diet. Totally unprocessed, 100%”. 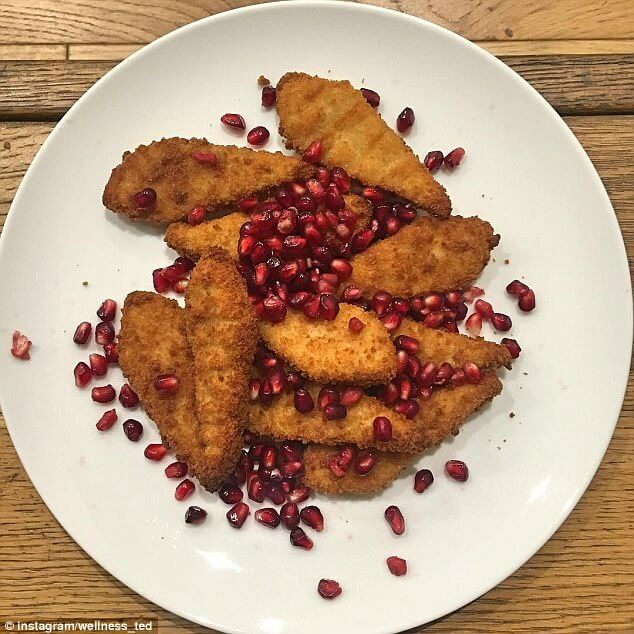 He makes a reference to the famous “raw” kind of food that is used to be advertised on Instagram. 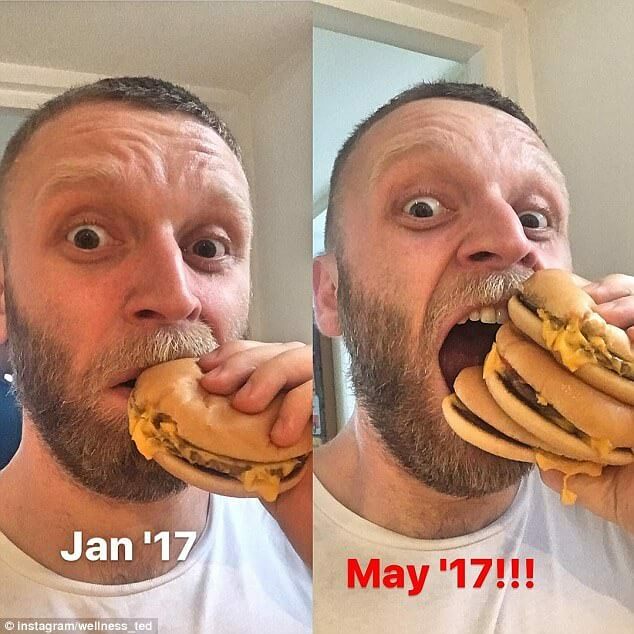 He is so proud of “how far I’ve come this year” by proving he can now eat three cheeseburgers instead of one. 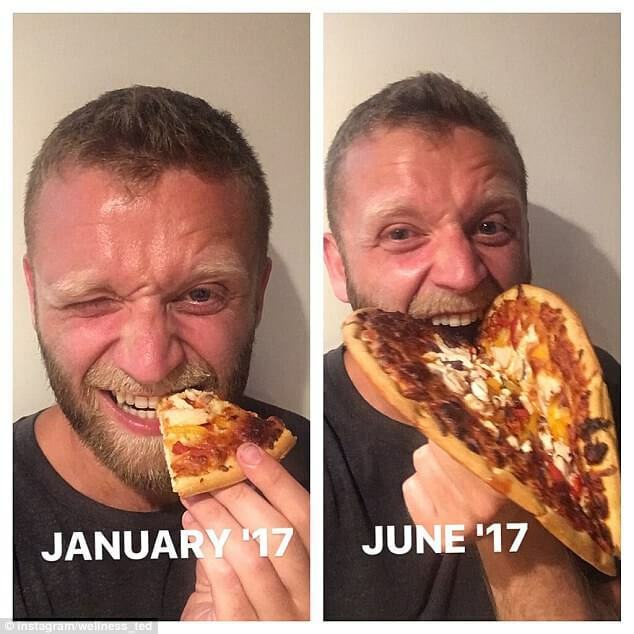 Great achievement. Anyways, he is proud of his girlfriend and makes sure he shows it in his Instagram posts. We just like his humour. We think it’s super-cute and on point. Good job, Ted! 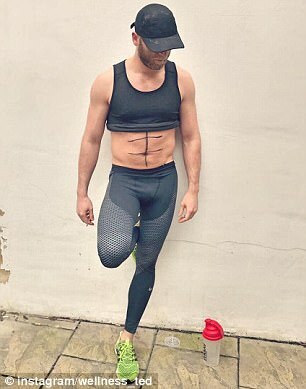 Somebody had to do something about this too much “raw, vegan, abs” kind of world that is out there.